Running at your perfect pace within your limits can make training enjoyable and avoid frustration. Even a pace just slightly above this magic pace can lead to excess fatigue, breathlessness, loss of motivation, and can cause injury. But how do you determine your magic pace for training and competition? What methods can you use? Setting and maintaining your ideal stride length can also be critical. 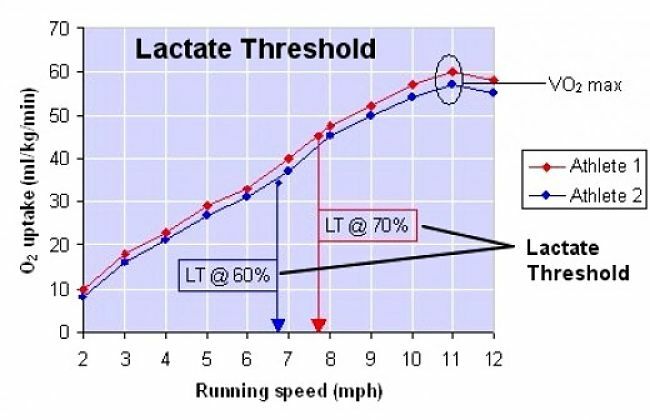 The key to running at a sustained pace is avoiding a build up of lactic acid. Your body has the capacity to boost performance for a short period of time by generating energy without consuming oxygen (anaerobic energy production). This is what a sprinter does. 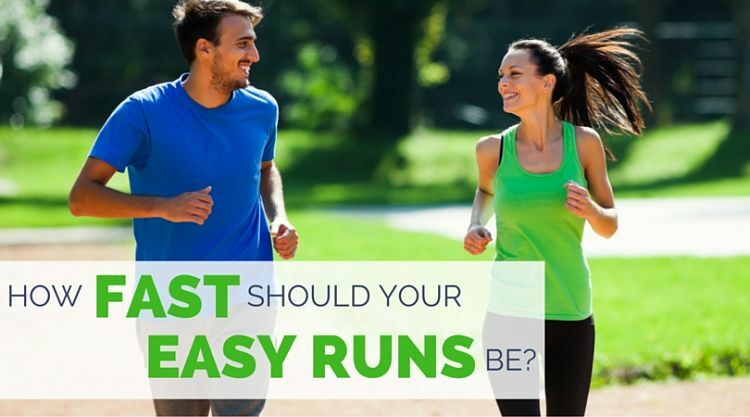 But your body produces lactic acid in your muscles that hampers performance and can lead to pain and you may not be able to maintain the pace and may have to stop running. You develop what is termed an 'oxygen debt'. Extra oxygen has to be inhaled to break down the lactic acid. The anaerobic metabolisms is very limited and short-lived and is mean for a short burst of activity rather than a sustained effort. Your maximum capacity to deliver oxygen to your muscles, brain and other organs - (Basically your heart rate). 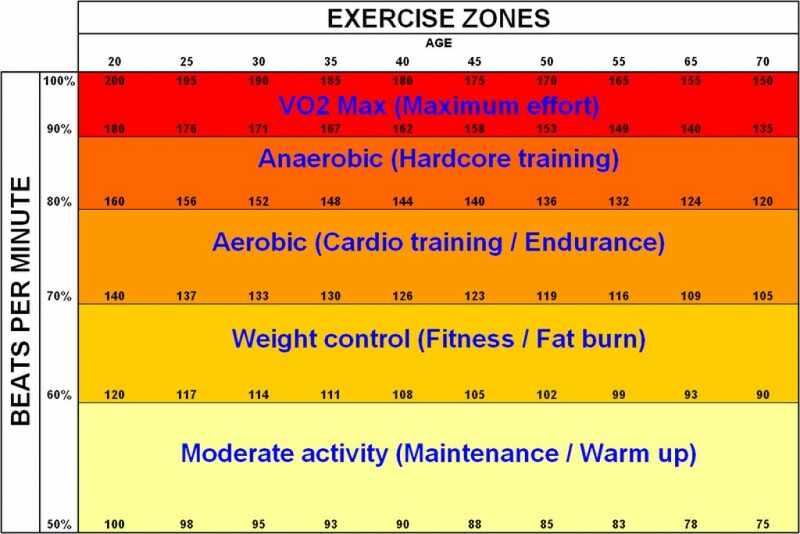 Each of these capacities and their thresholds can be increased by training and so are a measure of your fitness, which in turn determines tour maximum aerobic work rate and so your maximum speed. The term VO2max describes the maximum rate at which you can consume oxygen during exercise, or your maximum aerobic capacity. Elite athletes have a very high VO2max. 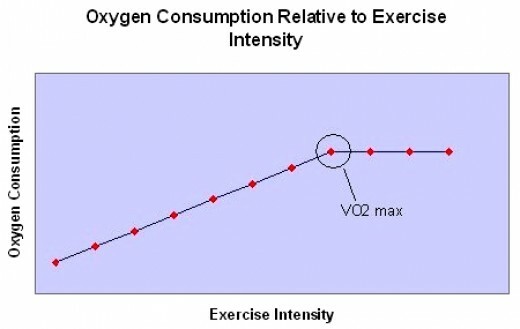 Proper training will increase any runner’s VO2max. Many of the major training and fitness improvement strategies are designed to increase aerobic capacity. These improvements include increased blood volume, growth of the heart muscle and changes in the muscles to increase oxygen use efficiency. VO2max is a good predictor of racing performance, accounting for about 70 percent of the racing ability of runners. 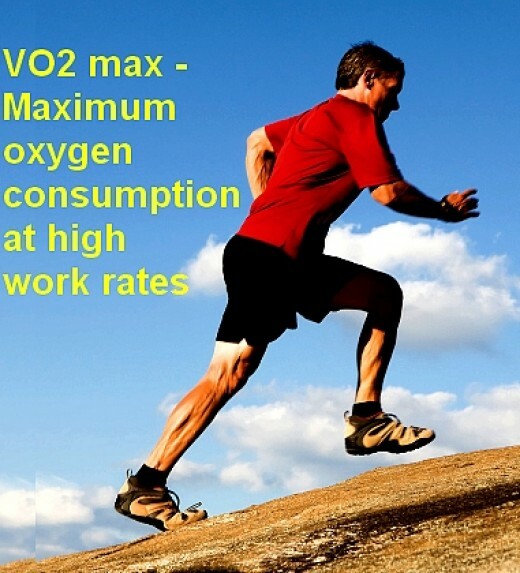 Velocity at VO2max ( vVO2max ) - is the speed at VO2max (vVO2max) for a runner. It is the running speed at the runner’s highest rate of oxygen consumption. This is a better indicator of running performance than VO2max. This deals with the efficiency with which a runner can use oxygen. 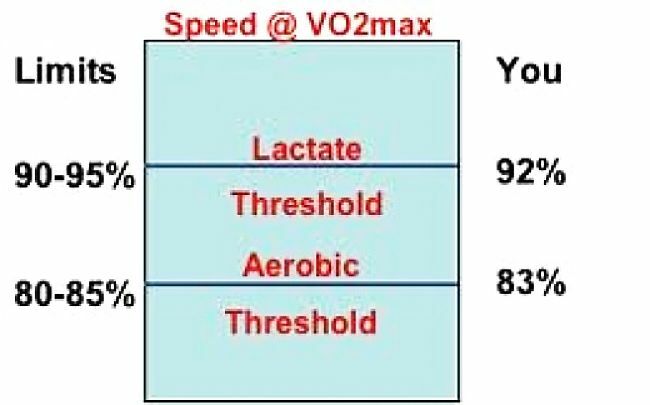 You can estimate your own vVO2max without the cost of going to a laboratory is using a method worked out by Veronique Billat, a French exercise physiologist . She developed various methods but the simplest method is outlined below. Billat discovered a simple rule of thumb - the average runner is able to sustain his or her vVO2max for about 6 minutes. Therefore all you need to do is run at an even pace for six minutes. Then work out your average pace for the six-minute effort by dividing the total distance by six.. That pace is your current vVO2max. 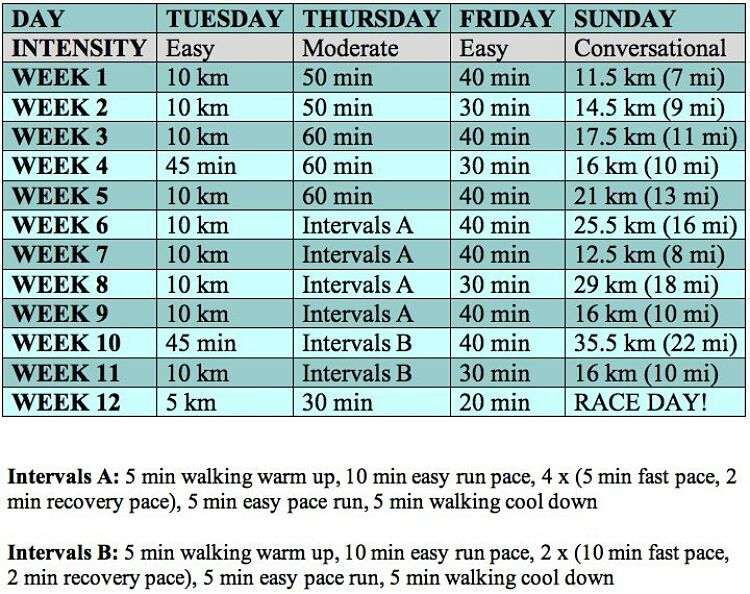 Do one of these vVO2max 6 minute trials every 4-6 weeks while you are training. Watch for gradual improvement showing that either your running economy is improving or your aerobic capacity is increasing, or both. 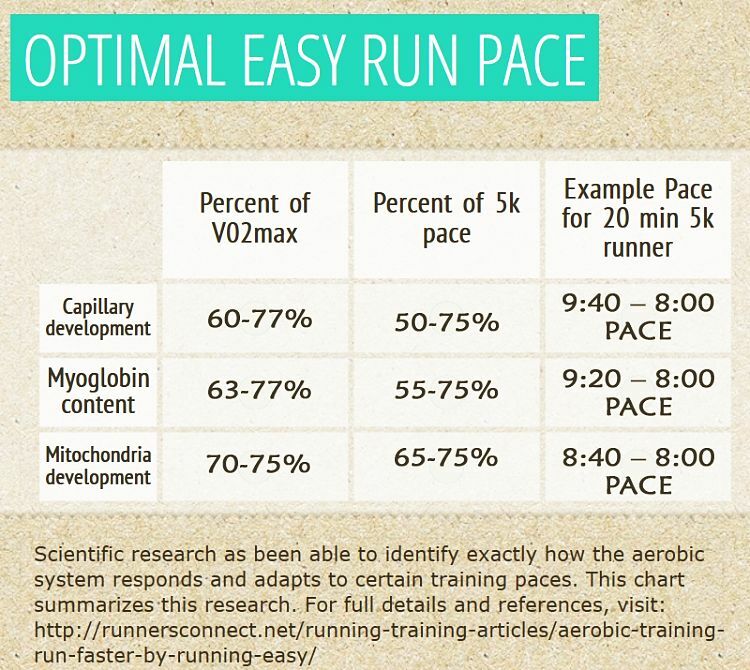 The magic running pace is about 50-70% of vVO2max. Many runners who train with a partner or in a group with friends rely on the so-called 'talk test' to determine a maximum pace. It is such a simple measure, but it works. Can you speak comfortably and aloud while you are running at a good pace? If so you are running at a sustainable pace. Recent research has confirmed that it is very useful a reliable method despite its simplicity. When subjects trained at these levels using this method they were found to be exercising near their maximum, sustained exercise intensity as measured by their sustainable oxygen consumption, or vVO2 max, and their magic heart rate. 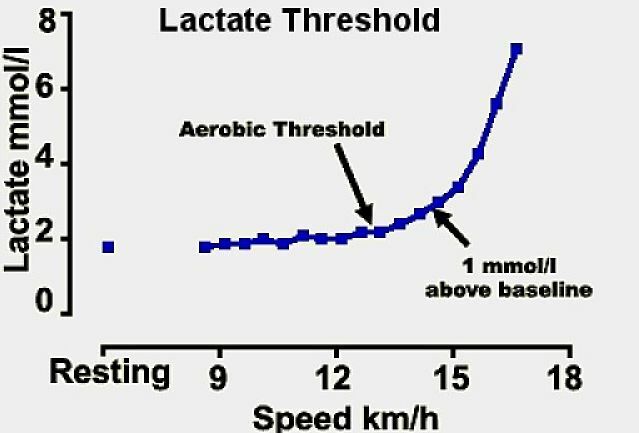 This research also showed that the Talk Test corresponded well with both the lactate threshold, and the ventilatory threshold - onset of sudden heavy breathing. These findings make the Talk Test useful for all runners from endurance athletes to beginners exercisers. You have to talk out loud as muttering or mental talking does not work. Heart monitors of various forms measure, record and display your heart rate, giving you instant feedback about how hard you heart is working. Setting a comfortable pace is generally done by setting a pace equivalent to a given percentage of your maximum heat rate. Establish Your Max Heart Rate - This can be estimated by exerting yourself vigorously for several minutes, usually by doing interval training, preferably on a hill. Sprint up the hill and then jog back down and use this for resting. Repeat this cycle up and down the hill five or six times. At the end of this session your heart rate will be close to your Max Heart Rate. If you can't find a hill you can do a series of 400 m sprints. If you use a heart monitor, for a long run pace should set the magic pace at about 75% of your maximal heart rate. Many watches provide heart rate monitors. However many runners regard heart rates as unreliable for setting a magic pace. Many people find running with an electronic metronome device very helpful. Many people do best when they run with a steady, rhythmic cadence or pace. The ideal pace or stride rate varies with height, body structure and personality type. The best cadence is generally from 85-90 strides per minute. Another way to set a sustainable pace related to your fitness is by doing a simple "magic mile" time trial. Go to the track or to a place where you have a mile marked out. Run the mile at a moderate pace - not flat out. Record you time and repeat it every week or so. When training aim to run about 2-3 minutes slower than you magic mile time. So if you can run a mile in 11 minutes, set your training pace at around 12 to 14 minutes per mile on daily runs. This magic pace is about 60-70% of your mile pace.